Many of us were running late because the geniuses that organized the event asked people to exit I-70 at Route 144. Well, the police closed that exit for the marathon. 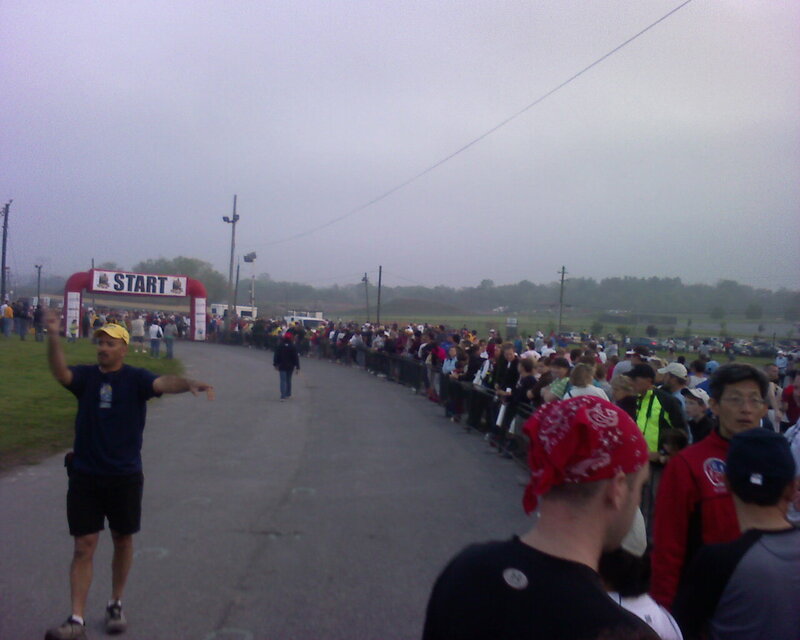 So you had hundreds, if not thousands, of people navigating through Frederick, trying to get to the race on time. Lots and lots of runners were very late. Even into mile 1, I saw runners heading the other way to start!